FREE USA Shipping & Installation!! The Axiom DRX9000C is the industry leader in Spinal Decompression. Global Decompression is proud to bring you the Axiom DRX 9000C Spinal Decompression system for the lumbar & cervical region. 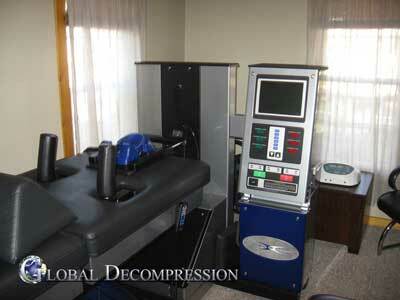 This machine comes with everything that you need to get started in the Spinal Decompression market. All Used Axiom DRX 9000 machines go through a rigorous testing period and are Guaranteed to arrive in working condition. Global Decompression is the world leader in transporting used-drx9000 's to any location worldwide. We guarantee our delivery, and our commitment to you as a customer.